CMM GMBH - Live In L.A. Body Count - "Live In L.A."
ALBUM TITLE: Live In L.A.
With Bendrix on rhythm guitar, bassman Vincent Price and drummer O.T. BODY COUNT are actually working on their next studio album. 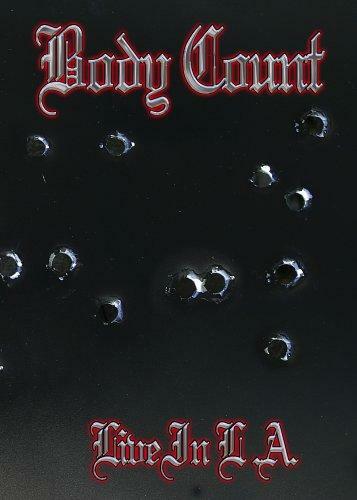 But until this longplayer will be released, all fans of BODY COUNT can satisfy their needs with another goody: The DVD "Live In L.A." has been released! This DVD contains a live recording of a show at the Troubadour, Hollywood, in November 2004, an interview of Ice-T, Backstage glimpses by Ernie C. and a photo gallery. Additionally, the DVD package comprises a bonus CD , containing the two unreleased songs "Dirty Bombs" and "Passion", which will be part of the new album.